Hello fellow readers and a cheery Friday to you and your pets. First sorry for the dramatic headline yesterday – I actually slightly re-worded the newspaper headline- BUT it was pretty shocking. The entire story seems pretty unreal – I’ll keep you updated as to any charges being laid against the criminal. JUST tell me what to feed Doc? 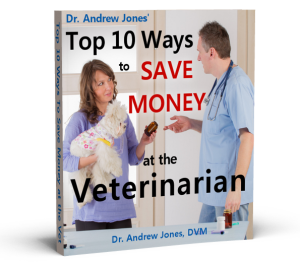 You’ll get my BEST Selling Digital Book PLUS the NEW Pet Food Report for FREE. SO what is EXACTLY in this Report? The Pet Food Recall: What REALLY happened, and what can do to prevent this from ever affecting your dog or cat. Over 150 brands of pet food, including over 60 million containers of food, were involved in this recall. Ultimately, melamine and cyanuric acid, two chemical additives, were determined to be the cause of the renal failure that caused the deaths of at least 1,950 cats and 2,200 dogs in the US alone, and the illness of tens of thousands more. Pet food labels are deceiving. They only provide half the story. The other half of the story is hidden behind obscure ingredients listed on the labels. It is especially important to learn how to read the labels. The bag may be ‘pretty’ – and even have pictures of ‘wholesome’ ingredients. But what is actually in the food is far more important than what is on the bag. In understanding labels, here are some important factors to consider. Disgusting Animal by-products are the non-rendered parts derived from slaughtered animals: lungs, spleen, kidneys, brain, and more. The following is an excerpt from Anne Martin’s book: ‘Foods Pets Die For’. Does the company have their own manufacturing plants or do they contract with an outside feed mill or manufacturing plant? Where does the company source their raw ingredients – are they from an established source or do the sources vary? What kind of standards does the company have for it’s raw ingredients? Does the company do any in-house testing before using an ingredient for manufacturing? The medical profession is rife with sponsorships, promotions and kickbacks provided by the drug companies. A small number of doctors today are becoming increasingly concerned regarding inappropriate behavior by doctors receiving these kickbacks and promotions. And within the veterinarian profession, it is even worse. Several universities and many vets receive “advice” and funding from the drug companies AND the pet food companies. The American Veterinary Medical Association (AVMA) main two sponsors are Bayer (Drug company), and Hill’s (pet food company). In fact, both sponsors contribute significantly to the annual conference. BHA: believed to cause stomach cancer, behavioral changes, hyperactivity, liver damage, fetal abnormalities and metabolic stress. BHT: believed to cause liver issues, thyroid & bladder cancer and metabolic stress. The FDA tested this preservative and found that it was unhealthy for pet consumption. So they of course banned companies from using it, right? My message to them is this: WAKE UP – Half of a dose of poison is still poison! My revised and updated Dog and Cat Food List, one year after the Pet Food Recall. In that time, quality manufactures have chosen to find companies other than Menu Pet Foods to produce their canned food, and chosen to increase the level of quality control. That means testing to ensure that the stated ingredients are present in the exact amounts, and that no toxins are present. Must be HOLISTIC Pet Food. MUST NOT use Menu Pet Foods for any food product. MUST NOT use Wheat, Corn or Rice Gluten. Supplying your dog or cat with raw foods is a safe and healthy alternative to supplying them with commercially produced pet foods. P.S. There is NO substitution for COMMON SENSE. DON’T believe everything that you read on the outside of a pet food bag. Feed a VARIETY of Foods. Stay on the lookout for my new upcoming supplement – My Ultimate Canine Health Formula. great blog on your opinion with pet food.